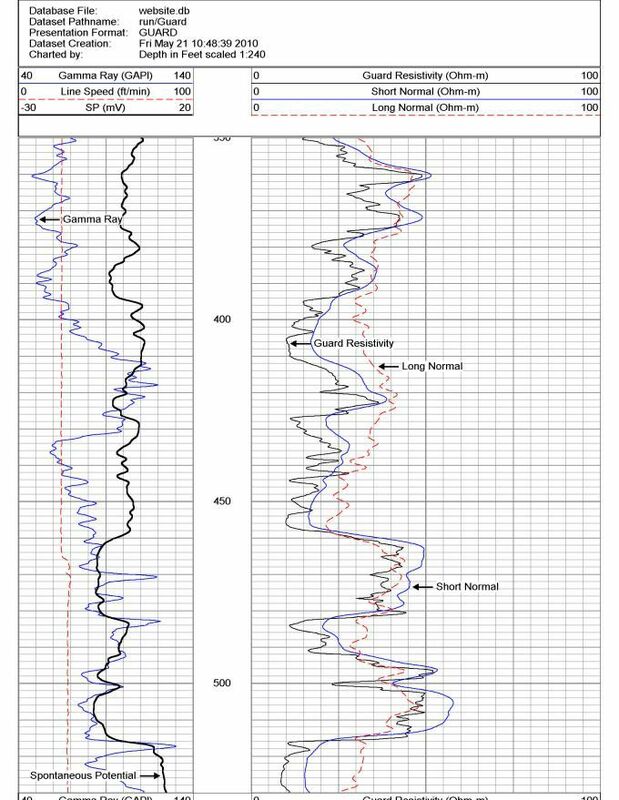 Dual Laterolog (Focused Resistivity) Logging Overview. Resistivity logging involves the measurement of electrical properties of the rock. Changes in the rock’s electrical properties can be due to the clay mineral content, water content and porosity, temperature and water conductivity. Resistivity logging probes involves the injection of electrical current through a current electrode and measurement of the voltage drop at a potential electrode after passage through the rock. The dual focussed laterolog is an electrical probe with a short and long electrode measuring different rock volumes away from the borehole. 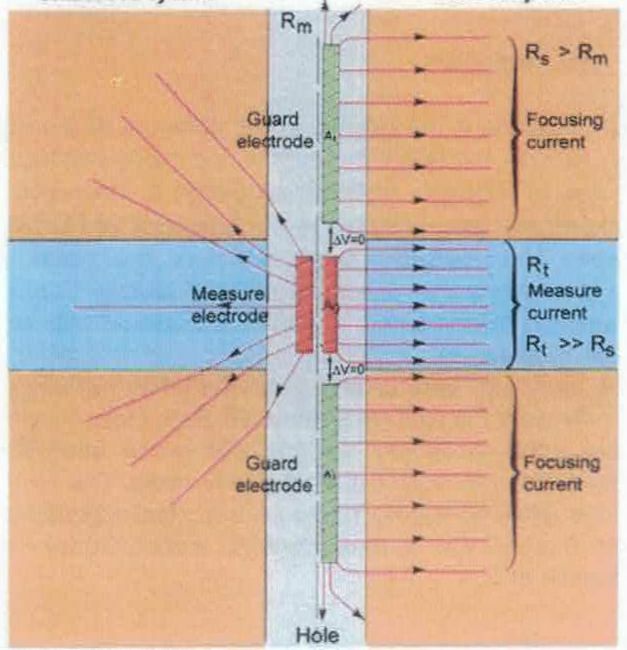 Focussing of the electrical injection current is achieved through auxiliary electrodes whose job is to create a sheet like injection. The focussing allows excellent true formation resistivity measurement and good vertical resolution of thin beds. A calibration box with a range of resistors capable of setting values from 1 through a 100 ohm-metres is used for calibration and verification. 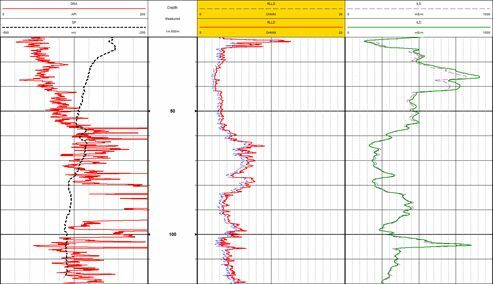 Commonly used for lithological identification and correlation, advanced data processing can involve derivation of the Formation Factor and groundwater salinity. For hydrocarbon exploration, resistivity data has been used for water saturation and by inference hydrocarbon volumes through Archie’s Law. Duncan Cogswell, Executive Director at Borehole Wireline, is a qualified geologist who has worked in borehole geophysical logging for mineral exploration, mining and groundwater since 1983. He has extensively travelled throughout the world and is now based in South Australia.